For those of you who want our wine automatically shipped to your door upon each new release! Forget to order? Want to save time? Our Clubs make it simple for you - sign up for what you want, we'll automatically ship it to you when we have a new release. 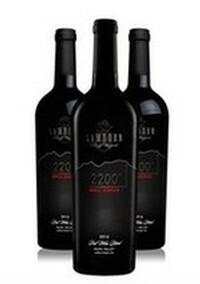 Would you like to have our Cabernet automatically shipped to you at the time of a new release? If so, this Club is for you. Simply join this Club and we will ship you your desired amount of our Cabernet upon release (one shipment per year) - no need to login and place the order yourself, we take care of it for you! Would you like to have our 2200' automatically shipped to you at the time of a new release? If so, this Club is for you. Simply join this Club and we will ship you your desired amount of our 2200' red wine blend upon release (one shipment per year) - no need to login and place the order yourself, we take care of it for you! Would you like to have our Zinfandel automatically shipped to you at the time of a new release? If so, this Club is for you. Simply join this Club and we will ship you your deisred amount of our Zinfandel when it is released (one shipment per year) - no need to login and place the order yourself, we take care of it for you! Would you like to have our Rosé automatically shipped to you at the time of a new release? If so, this Club is for you. Simply join this Club and we will ship you your desired amount of our Rosé upon release (one shipment per year) - no need to login and place the order yourself, we take care of it for you!